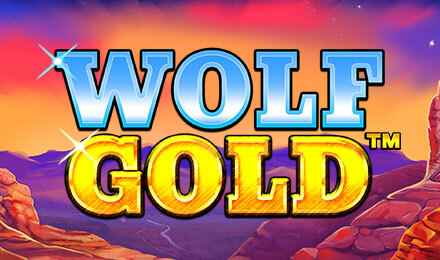 Play Wolf Gold slots and hear the wolves howl while you gather your riches. Enjoy the design and set on this Pragmatic Play slot and gather generous wins. Wold Gold slots is one of the newest Pragmatic Play slots at Vegas Spins. Inspired by the western theme, the slot grid of the game consists of 5 reels and 25 paylines. Trigger the Free Spins feature by landing three or more scatter symbols on reels 1, 3 and 5 and you will be awarded 5 free spins to play. Benefit from the Jackpot Bonus Round by landing six or more jackpot symbols. You will then receive three respins and up to 80x your bet.